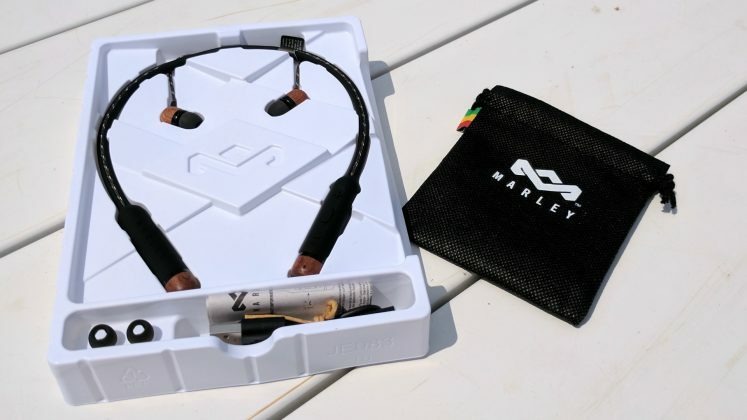 The Smile Jamaica Wireless Headphones are a $60 pair of Bluetooth-connected earphones and one of the latest models out of The House of Marley. 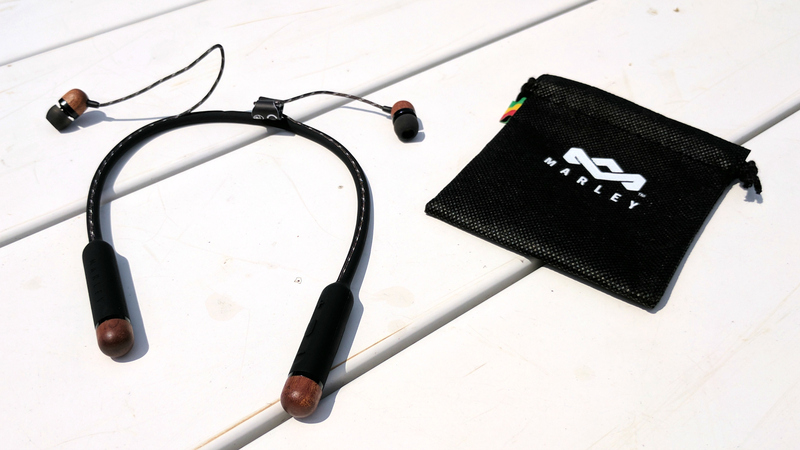 A wireless take on an existing pair of in-ear headphones, they have the increasingly popular design which lets wearers drape them around the neck when not in use. 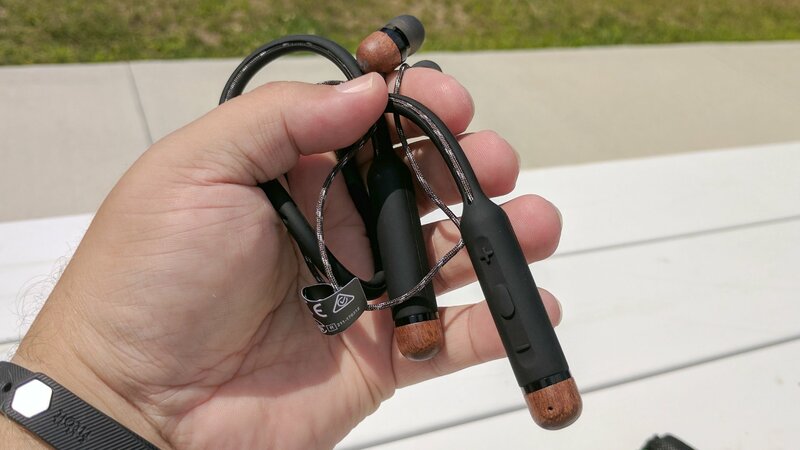 We were sent a pair of these earphones to review and spent a few weeks playing with them off and on. 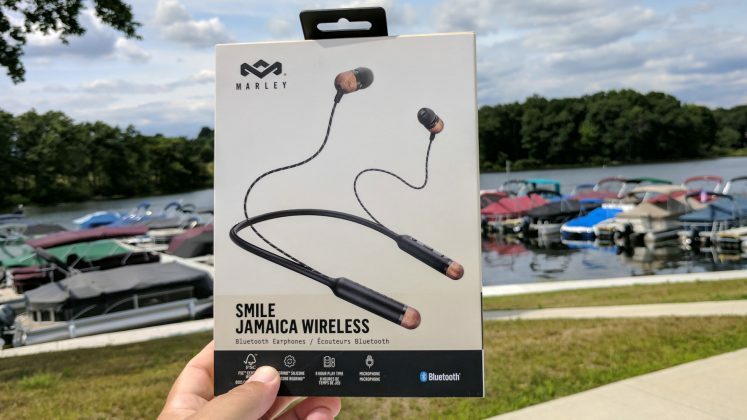 Here’s our impression of the Smile Jamaica Wireless Headphones. 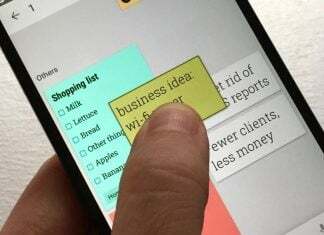 Setup is a little different from what you might expect in that the first time you power them on you are already in pairing mode. That’s not extraordinary, but each subsequent use of them requires you to press and hold the two volume buttons to get going. To us this seems backwards, and it takes a little time to get used to, but it’s not that big of an offense. Controls are equally odd a times. Want to skip tracks? Double tap the volume up. Double tap volume down to go back a track. It took a time or two to master this as we were apprehensive about increasing or decreasing volumes. We’ve seen this in other models, but we tend to prefer to have buttons for skipping tracks that also double for fast forwarding. The Smile Jamaica Wireless Headphones feature a flexible, rubberized body with enlarged tips. The left side is where you’ll find the controls, microphone, charging port, and LED light. The right side houses the battery; the two are weighted equally. We liked that the headphones drape nicely and comfortably around the neck. There are other brands and models on the market that don’t have nearly as much “play”, giving the experience of a hard plastic halo or frame that feels like it will fall off easily. That’s definitely not the case here. The headphones are IPX4 sweat-proof which means you’ll have no problems using them in a workout or environment where you plan to get sweaty. This is a nice touch as being waterproof isn’t the same as sweat-proof. Ask your FedEx driver about the earbuds he goes through because of sweat. Given the $60 price point we didn’t expect the sound to be as warm and rich as it is. We were pleased to find a nice, generally even sound that doesn’t overpower or try to come off as something out of its class. The mid range could use a little help, but upper-mid and highs were crisp and clean. Don’t be fooled into thinking these will counter or best headphones in a higher price range. While we liked the experience overall, we can appreciate that they’re nowhere near what you’d get from the likes of master & Dynamic. One is an every man model, the other is geared at an audiophile. It should be noted that neither aptX nor LDAC are supported by the headphones, somewhat reaffirming its position on the totem pole. With battery life rated at eight hours we found ours to routinely get at least 6-7, on average. Mileage varies, of course, based on volume levels and length of listening sessions. 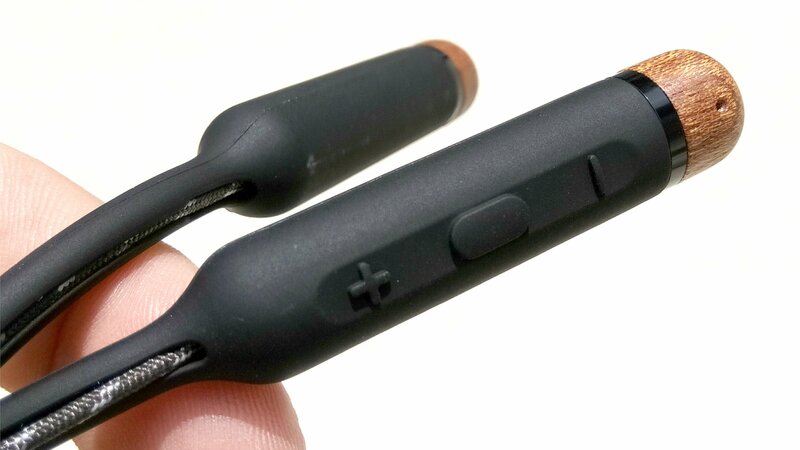 Charging takes around two hours when starting from zero and is done via microUSB. A cable is included in the box but you’ll need an adapter to plug into the wall. 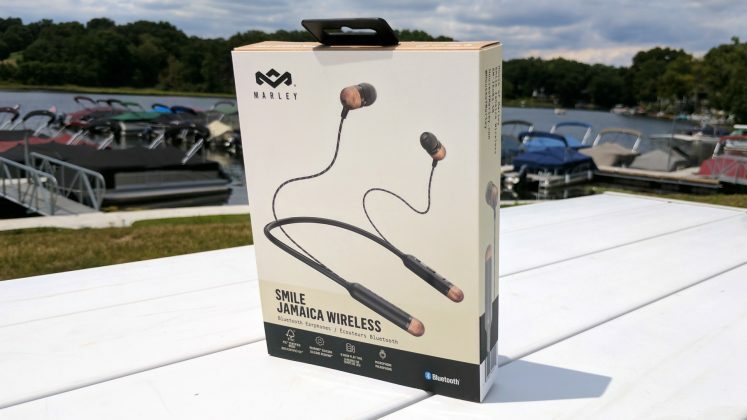 The Smile Jamaica Wireless Headphones are comfortable, affordable, and deliver a pretty decent sound. It’s just about everything you’d want out a set of headphones and doesn’t pretend to be more. The sweat-proof feature is a nice touch, especially for those who are active or spend time enjoying the dog days of summer. The buttons and setup can be a little wonky but it’s forgivable stuff. 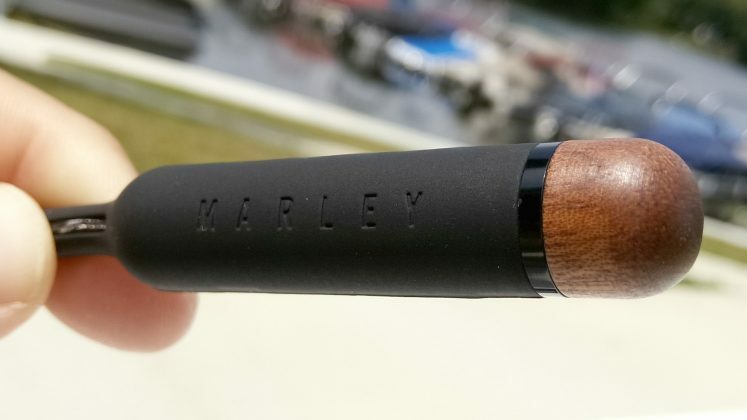 We really appreciate the two-year warranty that comes with House of Marley products and think that alone is worth extra money. The main catch, to us, is the style of headphones. We’re not huge fans of the design in general and prefer more traditional things like earphones or on-ear/over-the-ear headphones. 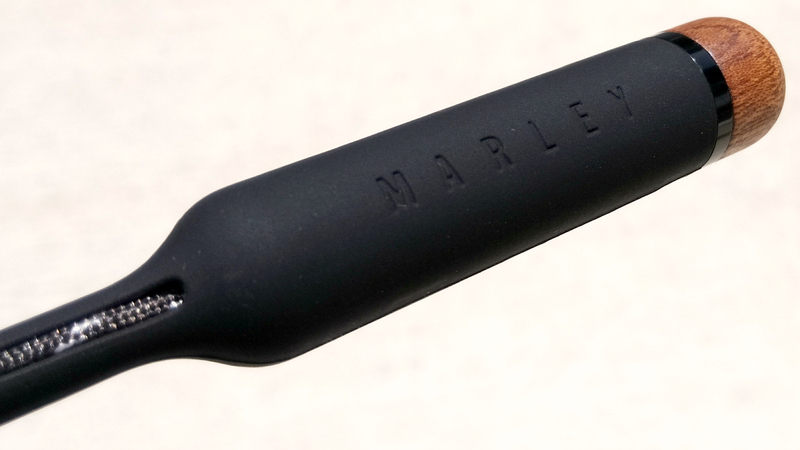 But, if this is your bag, the House of Marley Smile Jamaica Wireless Headphones are worth the price. If you can get them cheaper, say, at a place like Amazon ($50), you’re doing even better. Backed by a two-year warranty, the wireless headphones are comfortable, lightweight, and sound good. They don't punch above their weight or pretend to be something they're not, but they're great for those watching their budget.